Practising Social Inclusion presents what we know about what works, and why, in promoting social inclusion and practising in a socially inclusive way. 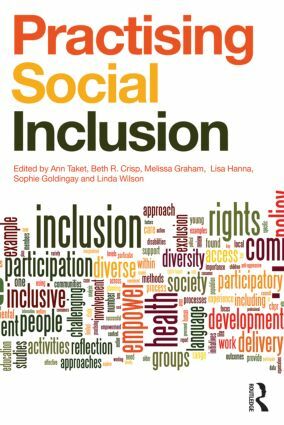 Contributing to the growing debates on social inclusion, this book moves beyond discussion of who it is that is socially excluded and the processes of exclusion. It draws on research and reflective practice to answer the vital question of how to actually work towards inclusion and includes five sections looking at different arenas for practice: policy; programme design; service delivery; community life; and research. Relevant to all those working to promote, or researching, human health and wellbeing, this book is especially suitable for practitioners, students and scholars in health promotion, social work, social policy, public health, disability studies, occupational therapy and nursing. Inclusion in participatory research: what were the whitefellas doing in an Aboriginal health project?